Dec 19, 2013 — I am back – and it is 70 degrees here and that is a change, for me, of at least 85 degrees. …..stays inside — by the color of my face I think some of mine leaked out! 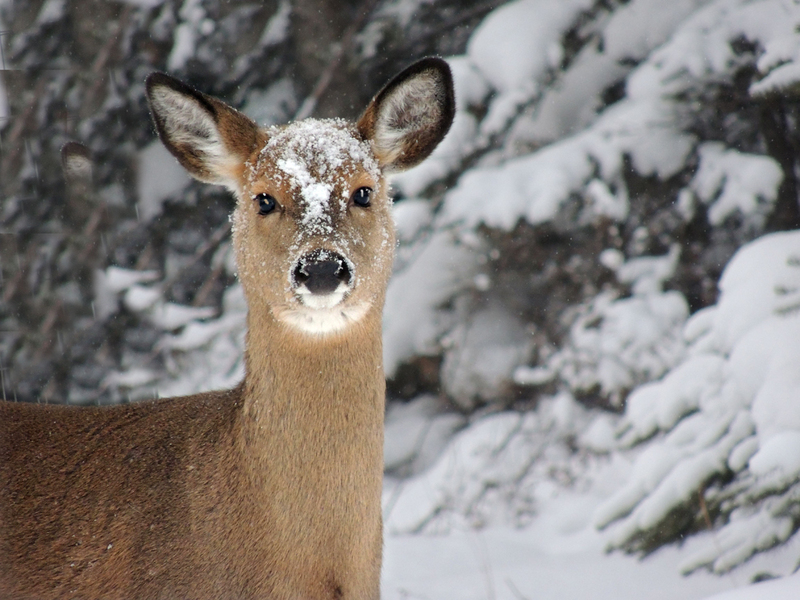 This deer also seems that she did not need a trip to Peter Glenn’s — even when she sticks her nose into two feet of snow to find a few blade of grass to eat — See the fur on her nose and head keeps the snow from melting. 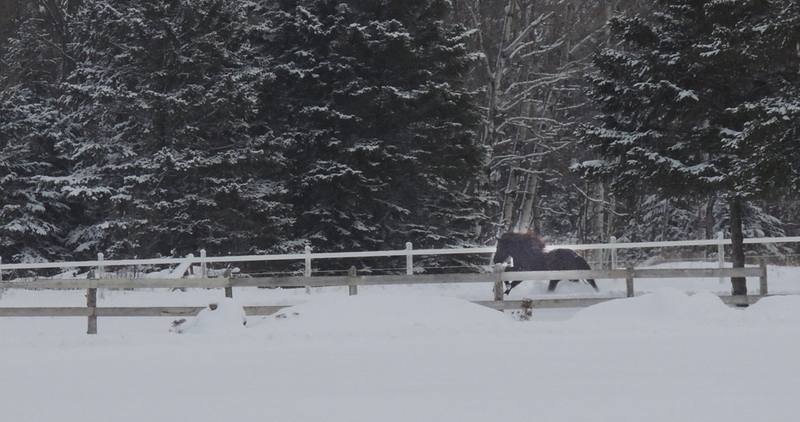 Snow and zero tends does make the horses a bit frisky — I love this shot of a horse running — taken late afternoon with temps heading for minus twenty. 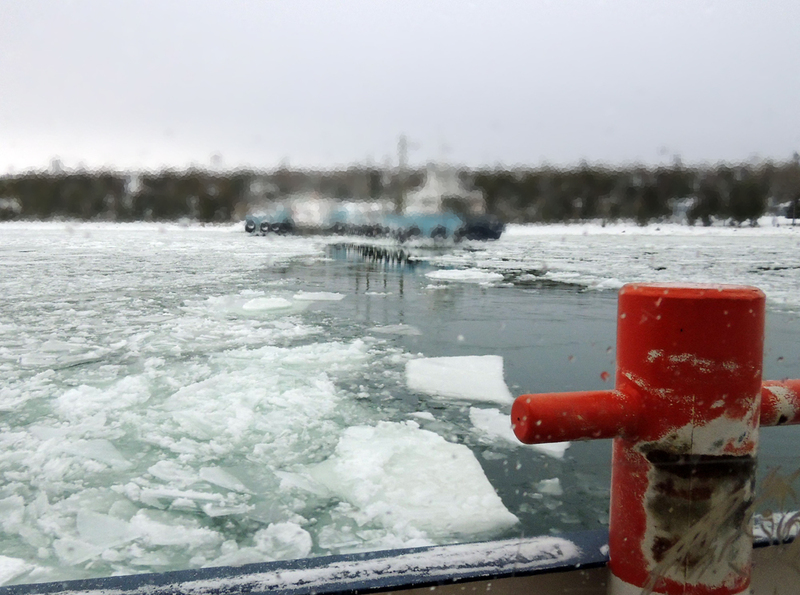 Leaving the Island — You would think our ferry boat was an icebreaker – well in a way I guess it was – I could hear the bow of the boat pounding against the ice flows. The Coast Guard icebreaker did have to clear way for some of the 1000 foot freighters because they could not make the turn to head up the St Mayr’s River to the Soo locks and on to Lake Superior. I took over 400 pictures — so be prepared for weeks of Island snow photos — I was so excited to be there – when I landed in The Soo (Sault Ste. Marie, USA) the ground was bare. On my way to the Island it started to snow — and it never stopped for the 10 days I was there. 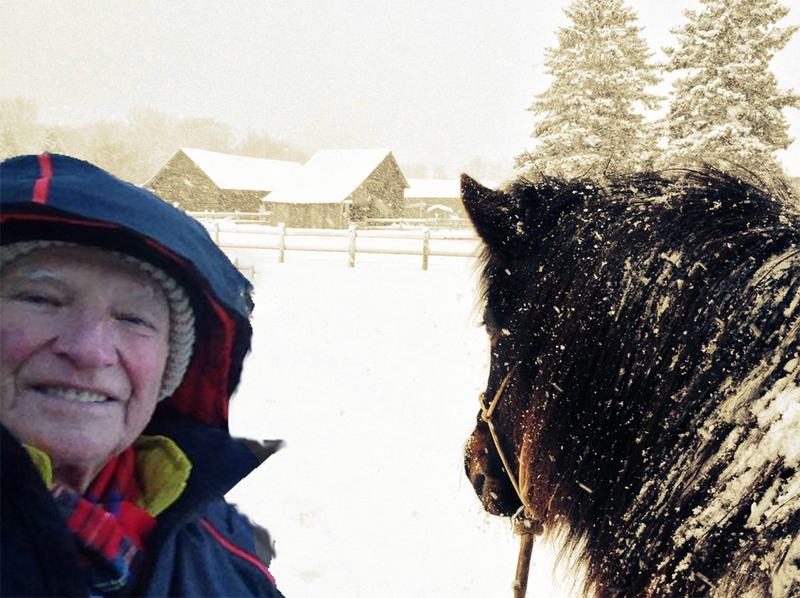 I truly love weather – Peter Glenn’s clothing kept me warm — I hiked, worked with horses, and just enjoyed God’s presentation of the beauty of nature – presented while I was there — just for me, everyone said! Brought my cowboy boots to Florida with me — Why? — I do not know for sure — but I have a few ideas!